A good evening to you and all of our friends and family. It is with much pleasure that we hereby announce our plans to move in to your world...seen and heard. Nothing can stop us now. And it will be a sight to behold. When people look up and see the spectacle in the sky it will be as if their very worlds have changed in the twinkling of an eye. And thereafter will there be no further misplacing amongst people of that which obligates and creates a sense of duty within and that which is unfulfilling in the life and in the minds of many. These end times or moments are designed to stimulate on every level, in every way and affect every aspect of one's expression. The timing of these events is quite synchronicitous and everything has been most carefully mapped out. Even within the ever-changing plan, or rather some of its pieces. For the overall plan has remained the same throughout. It is only how it is to play out that has been changed - many times. Now we stick to the scenario that we have chosen for you all to experience as much of yourselves as possible that will enable you to make grander choices. Ones which can accelerate your evolution, as you have already been informed. Not all is as it seems for still the anti-life forces on this planet wish to take you down with them, although their every attempt fails. But this has not been enough to stop them from trying. Their technology remains operational and... they will stop at nothing to try and take down any and all -if they had their way - who try to oppose their will for global control. And they have, which includes the many revolutionaries, inventors, thinkers and a wide array of grand souls who have already had their own/their family's lives taken from them. Or had their family members' lives negatively impacted on in some way. And so it has been necessary that you ones have remained in quarantine of sorts; a protection for your own good. For we will not tolerate any amount of interference with YOU ones who have important jobs to do. We are very pleased to say that the power of the ones who still perceive themselves as controllers is dwindling mightily fast. Particularly in the eyes of ones who have long been their most steadfast allies. This is a humiliating defeat in the Darkies' eyes (SK: Sa-Ra uses my term for them here). For they have lost respect in many an instance amongst their peers. As you now move into your own activation of all that YOU are, you may now take centre stage without fear of retribution for your efforts. The Darkies are being rendered completely powerless as we speak. No more shall you KNOW yourself to be limited and remaining in the shadows. For you were not designed nor have you CHOSEN to live your lives in shadow. 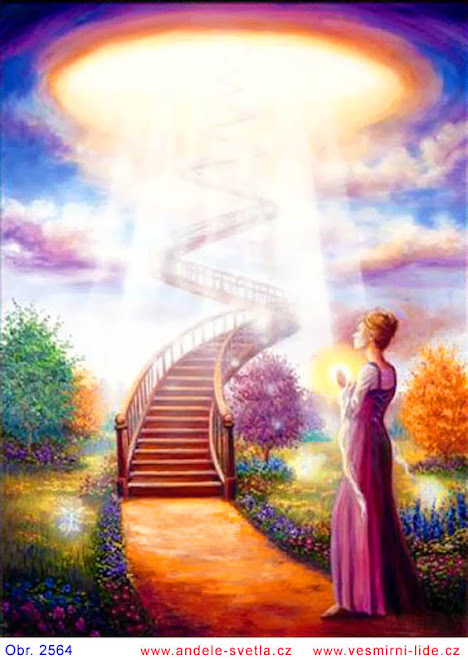 You are our glorious Starseeds of MAGNIFICENT LIGHT and LIGHT you shall BE, you shall HAVE and you shall DEMONSTRATE that all the world WILL KNOW IT. And we will soon be with you. Celebrating in our reunion and working alongside you. Nelson Mandela is dead. Again. Well, let's just say this time around his 'official' death date was last Thursday, 5 December. His unofficial and true death date was very likely the 25 June 2013. And that story was broken by one independent freelance writer, Laura Oneale. Of course, she stood practically alone in her claims and shortly thereafter came under severe fire from all manner of controlled presstitutes and their keepers and so-called ‘independent’ journalists from all sides. Mandela was still alive, they said, although admittedly in a weakened state and in intensive care. And this was followed by South African president, Jacob Zuma, assuring the South African public that Mandela was still very much alive. Oneale’s story only made MSM in a negative context. The South African shadow government who help ensure a controlled media on behalf of their global Zionist Talmudist bosses were probably under the strictest instructions to ensure no suspicions were made about the reality of that situation. Hence Zuma’s assurances and MSM’s continual updating on Mandela being ‘alive’ thereafter. But I did feel deeply for Laura Oneale when I read the varied and ridiculing responses to her initial piece. It was nothing less than a serious case of cyber witch-hunting and burning. A case of having something serious to defend. And how better so than by attack. Just as fast and to corroborate the theory that Mandela WAS actually dead, the controlled mainstream media quickly got on with focusing for a week or more on the decoy story, as I'm calling it. In it, Mandela’s grandson, Mandla Mandela, was the source of much bitter family feuding. And ‘suddenly’ he became the central focus of MSM news in SA, very busy supposedly moving family bodies between graves in different locations and supposedly getting the ire up of various family members. And the MSM journalists were obviously ordered by their newsroom presstitute bosses to focus on it while the real family proceedings, a funeral? and mourning got underway. Which could all have been accounted for by the presence and spotting of hearses, grave diggings, burials and all else needed as a cover story and decoy for an actual Nelson Mandela funeral taking place – hidden in plain sight. And to my mind and worthy of sharing, was the recent local radio interview with someone who was close to Mandela for many years. Zelda le Grange was his personal assistant. During the interview she said she last saw him a few months ago and had since taken the decision not to see him further in his dilapidated physical state. Perhaps what she was saying was also that that was the last time she’d seen him ALIVE– period. I had the thought that she was one of his 'handlers'... I wonder what her family connections are to the ZT’s. So, who or what is the body in the glass coffin that people are traipsing by daily to view in Pretoria this week? I believe this could either be a lookalike or the ‘real’ Mandela’s body (which in itself may be a duplicate of the VERY original) which could have been on ice for all these many months. Why? The ZT’s are the thugs of the universe. And like all thugs, one of their main motives for existence is power/money. So this event of Mandela’s death had to wait to coincide with all the shekels the greedy, psychophants could make off the even bigger tribute being paid to him on the November 29 and Christmas opening of the ‘Long Walk To Freedom’ movie, based on Mandela’s life. Cast your mind back to Michael Jackson’s death and his music released immediately after. Or the death of any number of celebrities and the ways in which the ZT’s who run the entertainment/media circus have used these as cash cows. I believe that another of the motives for prolonging Mandela’s ‘death’ is the one of numbers and dates. These are mega-important to the ZT’s to accumulate psychic power. They’ve chosen this time for good reason. His official funeral’s on Sunday 15 with many of the world’s head of states here along with all manner of VIP’s and celebrities. With so many of the ZT’s dark minions gathered in one place at one time, you must know something huge is up. 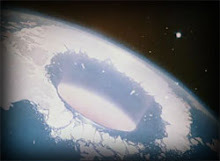 When global events of this type are planned, it is always because the ZT’s plan to steal something. Remember, these creatures that have run our world are like your common flea or mosquito by nature. They are parasites and like fleas, they themselves are difficult to pin down and don’t die easily. Or at all. And why particularly the public figures amongst them have been cloned/lookaliked countless times. So whatever they plan or oversee of such epic proportions as this funeral IS for the purposes of taking something from you – in one form or another. Because that is who they are and what they do. And they are also compelled by the invisible dark forces they’ve sold (what’s left of ) their souls to in exchange for what THEY think is real power from a REAL god. They build the energy in the collective human field by programming the mass mind with repeats of every aspect of the person focused on. Why we’ve had Mandela and nothing BUT Mandela instructed to be aired on ALL MSM operations nonstop 24/7 since last Friday 6 December in South Africa. With the rest of the MSM world following suit. This ensures the necessary building of idolatry over the projected image; raising the perception of a being to heroic and god-like status. In this case, that worshipping and awe was already there and it was just a case of amping it up during this period. The ZT’s and their forces hone in for the psychic kill when enough e-motion is roused collectively. It is that energy innocently sent out by the masses that is their power which they can then use to arouse more fear=control in the mass mind. This is a feeding frenzy for them and where their parasitic nature really comes to the fore. Cast your mind back to their sacrifice of Princess Diana, the media bombardment and her funeral which followed. This is a repeat of that. They milk the event and the millions of human souls who are programmed by the media blasting their brain to give over of themselves. Think also of the events of 9/11, various Olympic Games and their openings especially, and mass musical events. Mandela’s funeral is right up there with them. Nor does it really matter as to the truth of who these ‘figures’ were. But in most cases, it seems most were either willing or unwilling puppets of the ZT’s. And, in Mandela’s case, it appears as if the REAL, original Mandela died many years ago. I started to get suspicious when, some years ago during his public speeches, I’d watch him pausing…as if to listen to ‘something’ (ear device?) which would clearly be telling him what to say next. Well, I guess the ZT’s spent enough years in preparation on programming him into an ‘icon of forgiveness’ and humanitarian hero for his role on the global stage. Imagine the mass shock which will follow when discovering that Mandela, the humanitarian hero, was only ever aligned to the ZT’s cause and just another puppet, acting his role to perfection. On the morning of 8th September 1925, the Seer told his daughter, Anna, he sees a black man being released from prison in the distant future, visit Russia, and on his return, be appointed in an important post. The country will be thrown into chaos under his rule. However, it is only after the violent death of a black leader, and a massive strike cripples the country, that real trouble starts. Siener also saw civil war and violence erupting after Mandela’s funeral. Well beloveds, I would like to speak today about all that now leaves your earth plane that is of energetic dissonance. But none of these disappears until they HIT your reality first. I felt that was an appropriate word. As in order that they might depart, they first come to the surface of your mind, your world. And this is why it feels rather chaotic around you. Even though you ones might feel largely stable in your anchoring of the Light, this is not necesarily the case for the mass populace. And indeed, many are in severe states of discomfort. Much of it internal for this is where it all begins. The masks that are being held up for control to keep a lid on these conflicted states within that it might not disrupt the outer life and outer projected image to the world, are anyway crumbling now. That none can or may hide any longer. Yet people still continue to fight this process as it occurs and as it is even for their benefit. For the fear that surfaces now in dealing with long-repressed memories, behaviours and dysfunctions are screaming for release. And things are to take a turn for the worse, beloveds - a most necessary part of the collective healing process. Again you ones are on the frontline, our Warriors of the Light. Clearing and cleansing the way ahead so those who choose to forge onwards may know a road that opens to them as they embrace IT; the road to Truth that we spoke about earlier (see Sa-Ra 9). The time of full disclosure is now upon you. It begins first with the Self as these things always do. No matter what might befall others, beloveds, do make a clear distinction in your mind about what exactly is sourced within another and what is sourced within yourself. Therefore defining what you should be owning or not. People will be projecting on to you left, right and centre at this time, should they be given the opportunity. The ego mind regards this as the easiest way of dealing with its fractures and divisions and that which it cannot and refuses to deal with. And so others will constantly seek to make THEIR problems, YOUR problems. You will need to be clear about who YOU are that you do not take any of this on, for you all have enough to deal with on your own plates. It's very important, beloved ones, that you do not make any mistakes with others in shouldering responsiblity for them that should be THEIRS to deal with. This is a most important issue and too many of you, particularly women, are prone to doing this unthinkingly. With both their children (especially boys) and their partners. It has been conditioned within. Particularly as young girls who grow up watching their mothers interacting with their fathers. It is seen that the way to be a woman is to make the other/the partner feel better about themselves, by shouldering the BURDENS of the other. Many women have talked themselves into BELIEVING this is loving and nurturing and the way to be. When, in actual fact, this is playing the martyr role by 'sacrificing' parts of yourself for an-other. Which ultimately makes you a victim also - of your own creation. This is NOT empowered behaviour beloveds. Nor is it balanced or helping you to move towards a sovereign state within. We realise these are EXTREMELY deep and very entrenched patterns of programming that have been alive and within your people almost since the journey between the sexes began on your planet. So we would ask you women particularly, to pay special attention and give extra awareness to this power imbalance and ask of your respective teams from our realms to bring forth insights to you in your behaviours in this area. That you might enjoy breakthroughs within and connect more of the dots about yourself regarding ways in which you are not fully running your own lives. That you might choose to let these patterns of response GO NOW in prioritising your journey towards wholeness and sovereignty. As I have said, this is particularly pertinent for women, because in shouldering the responsibility for men (and often male children also), you are BOTH left feeling disempowered. Men often looking to others and their women to both rescue them and blame them, that they might project all that which is of discomfort onto them (women). And women similarly as I have described - in taking it all and accepting often that which does not belong to them in the first place. So we believe women can shift the direction of this malady on your plane that has erupted into much discontent between the sexes. Of course it is each and every one's responsibility. And I speak here today of the collective impact of this dilemma. We believe this is enough for today for you to digest and dwell on. And indeed, time is short until we meet physically. And these, you might say are some of the last moment preparations. It’s amazing how starved for truth such an informationally soaked world can be. Sleep apnea, or discontinued, interrupted breathing during sleep, is a terrible condition for anyone, often requiring the assistance of breathing machines. It’s a relatively new affliction to our times often having to do with obesity and nervous conditions. When applied to Truth this concept is so indicative of the vicious cycle we live in. The whole world is in this truth starvation cycle. Lack of life-giving air, as in the influx of truth, will cause some serious personal and societal repercussions, as exemplified by the current world’s confused and dilapidated state. It is beyond starved of fresh truth. It now requires a machine to keep pumping (dis)information into its circulatory system. And who’s supplying the machined “air waves” they’re dependent on? It’s true we are what we eat, but it also applies not only to our food and water, but also to our air. Our food is adulterated, our water is deliberately contaminated with psycho-sedatives, and our air is systematically poisoned. These clearly affect our perception and behavior. Now transliterate that to our informational supply. Truth deprivation is the biggest story of all. And it’s the most serious. The other symptoms are merely physical manifestations. When fish are starved for air they exhibit certain behaviors. We’re seeing that in humanity. It’s truth starvation causing humanity’s unconscious flounderings on the deck of a truth deprived world. Lying governments, non-nutritious foods and education, empty media, and a broken down family and social system contribute to this nutritionally starved morass of informational excrement that is asphyxiating the world’s populace. Humanity is living in a carefully circumscribed truth-deprivation tank, and it’s gasping for air. People today live in a controlled environment. We live within our self-and-otherwise prescribed limits, but we live there. Some wake up to realize these apparent limitations are imaginary, but most do not. Hence the stupefied world of today. The limits are as they seem, in the minds of those who accept them. If you believe and agree for whatever reason, it’s yours. Much like the elephant on a tether, we’re trained to think we have circumscribed limitations we cannot cross. How very wrong. It’s entrainment, simply said, it’s nothing but a trained response. When we’re deprived of truth we behave unconsciously. Without the resources to make an informed decision we are not fully complicit in the scheme of things, but we are unwitting sponsors of a uniquely artificial world that only prescribes control and manipulation. When we wake up to our fully conscious nature it all seems like a dream we’ve surfaced from, but that is the world most of the planet lives in. And will surface from. We are the prescribed solution.Whatever befalls us. The matrix of deceit is another animal; It’s a strangely misdirected one, that only seeks to deceive, contain and manipulate at unimaginable levels. It is not from our dimension. If anyone cannot recognize the systemetized strangulation of Truth at this point I seriously wonder, but there are many who get it. Those who do get it are the many folks who are reading this right now. It’s not a big jump. It’s a simple reality. It is indeed a pleasure to be with you here again. Today we would speak of an issue many of you go through very often, it seems. That issue known as lack of confidence within. Lack of self-confidence, beloved ones, is derived from a poor sense of Self. It exists for numerous reasons. It can exist as a result of the many lies and self-deceptions ones continue to talk them Selves into and it can exist due to lingering doubts of one's own abilities in Self (therefore lack of trust in Self). And it can exist as a result of general feelings of inadequacy and constant comparisons to others, creating self-judgement in an ongoing self-destructive cycle. These are some reasons for the existence of lack of confidence in Self. And thus the lack of the full expression of the glories of the True Self. It is not necessary at this time to divulge further details as to WHY each might be sitting with this problem and its results. You will know if you ask within - and most sincerely from your Heart - where this stems from within YOU. What is important this day is to know how to get to grips with the fact that it does live within you, to accept rather than fight it and to surrender it; to let it go. And you can do this by calling in a higher power, by calling in the Source to assist you in removing it from you. You can do this by surrendering it to your Higher Self and asking that this be removed or transmuted from your field. And you can do this by dissolving this energy - that comes often as a false thought form and belief - in any other number of ways. Whatever form or technique is most resonant for you, will be what will work for you. Being and standing in your own authority is diametrically opposed to a state of poor self-confidence. They are at opposite ends of the spectrum, as it were. You are not in full authority and in your sovereignty if you still have remaining doubts about yourself. Thus we encourage each one of you who feels held back or are holding themselves back, to ask that the causes of this issue are brought up to the surface of your mind, that you might release them with the help available to you. It is an imperative next step as you journey towards reclaiming yourSelf. Good leaders and those who will guide others without thinking twice are ones who are confident in themselves and their abilities. They do not look back and do not look sideways. So it is extremely important, crucial even - that now in light of what is required - you are able and willing in the process of taking other parts of yourself back and activating all of you, that you also activate a healthy and well rounded sense of Self. Thus expressing yourself with confidence - naturally and easily. Those who will be leading and guiding others will need their wits about them all of the time. Self confidence and trust in who you are and what you are doing and perhaps the most important, what you are hearing within, is essential as you go forward hour by hour, day by day. And as you embrace the many challenges that will confront you on the road. You are not expected, as with everything else, to go this alone. And as we have stated, you have all manner of experts and specialists ready to be called on from our side to guide you towards letting go of your perceived lack and filling up the space with a Knowingness of who and what you are. That Knowingness then becomes the rock, the anchor from which all springs forth through your mind and your heart. That Knowingness can and does and will counteract any lack of self-confidence. But it is equally necessary for you to take the initial steps. Remember, as you take the steps with your intent, your will and desire to heal something within or/let it go, so does extra help from the invisible realms rush forward to assist you and respond to that Act-ion. Beloveds, it's been our pleasure one more time to be with you. It is I, Sa-Ra and Nada that have come forth together this day. It is I Sa-Ra, come forth once again. And this time I would like to speak about another very serious matter. I would like to speak about the nature of the God within as it relates to your upcoming service. The God within, dear Ones, is the most gracious, the most noble, the most balanced and the most compassionate, tolerant and loving aspects of your Self expressed. And these are just a few of the God within's attributes. The God within is one who's love knows no bounds. The Father Fragment within is the God within. The God within is the Father Fragment within. These are both one and the same. There are many other names for this, but suffice it to say the Father Fragment is the best description. When the Father Fragment or God within is fully operational within each of you, you will know these and many other attributes besides. When you are able to give full expression to these or the God within, you then also have access to the Lighted realms of other dimensions. And this applies to the feeling? (SK: couldn't hear word/phrase on cell phone clearly) and knowing of the Truth of all things. It is through this knowing that your wisdom is automatically able to shine that all might have access to and receive of this. Standing tall in your wisdom is being in great service to others. It is important to note beloved ones, that some might perceive you as the God/Goddesses that you are. This is so, but in some cases they will see you as ones above and beyond them, out of their reach. Then there will be others who will feel threatened by you, which will perhaps only serve to diminish their own already shrunken sense of Self. These will be some perceptions and reactions that you can expect to come forth. However, all you have really done is embraced your God within; your True Self. Not to speak too lightly of that either, for it comes at a cost to many of you. Embracing and living the God/dess within comes with its own set of responsibilities also. Namely (SK: or mainly?) due to what I've mentioned above - the projections and perceptions of others who occupy a different space energetically. But of course these you cannot be responsible for. You can only continue to behave as per that which the God within requires of you. The God within is your access point to eternity in the Now. Cultivating this relationship successfully assures you of permanently having on hand within: a protector, wise counsel, a teacher of Truths and many more roles that co-exist simultaneously within you when this relationship is successfully activated. That they may know, be inspired and so seek to have the very same relationship with their own individual God within. Do you see the importance of your past work, beloveds? Do you understand that you are the Way show-ers? The show-ers of the Way? And do you understand that by your very demonstration of living, expressing, feeling the God within, that you are doing exactly this? Whatever your respective gifts and skills, your talents ....it matters not. For as long as you are living the God within, you are teaching beloveds, and your are serving. This is all for today, beloved ones. May you find these words thought-provoking, that they might bear some fruit and assist you a little further in your preparations for the immediate future. Goodday to One and All on the earth plane! Things are indeed heating up…can you feel it, beloveds? And we are overjoyed as this mean our work with you is to start. All you who make the daily effort to heal, clear and bring disparate parts within to balance are to know the great fruits of your labour. Make no mistake about this…Your toiling and endeavours count for everything. And this work does not continue on interminably. There is a point at which everything stops, turns. You are so very close to this point. Beloveds, today I would speak a little on conflict and inner turmoil. I have covered this before. But today I relate these inner struggles in the context of that which currently occurs on your planet and in the invisible world within and around you. Let it be known that those who would wish to see you fail in your endeavours are meeting a most sticky end, of their own creation of course. Much like the insect caught in the web of a spider. The more they try to struggle to free themselves, the stickier and more bound in the web they become. And this is how inner conflict and turmoil can feel: the more you try to fight that which threatens to overwhelm you, the more you feel as if you are losing the battle. Would you, beloved ones, at this point, ask your Higher Selves to step in and remove from your being all that is not of your own creation. The Violet Flame of Transmutation is most useful for this. In this last moment of darkness before the dawn, the inner and outer battleground is rife with dangers, surprise attacks and all manner of secret artillery that seemingly pop out from nowhere. And YOU are the enemy, in the perception of the Dark ones. Confront these forces head on by shining your inner shields so brightly within that they are blinded by its brilliance and can take no further steps in advancing upon you. When you feel yourselves spiraling down into fear within, call upon our Armies of Light to send you extra backup that you might both have added power, in addition to greater discernment that you might know what is occurring within or without. You ones have for too long been at a decided disadvantage in very often not knowing the source of such attacks. Or even that one is occurring at all. The time of spiritual inequality now ends. You are to know clearly who your enemies are and how to deal with them quickly and effectively. The coming period will require it of you. Beloveds, we are in immense joy as the veil now comes down. This would be simultaneously the veil to both yourselves and thusly your inner and outer world. This is what was meant previously in one of Shellee’s messages where it was described that you are to know and have your True Essence returned to you. In this whole and returned state shall all be much easier within, that you might step forth to win this last and final Battle before your imminent Victory. And we can assure you: Victory is most certainly imminent. Will you take these words as my gift of encouragement to you as you go forth? Our brave and strong and true Warriors of the Light: we applaud you and stand by at the finish line, waiting to welcome you warmly to your hearts and our world. With all my love along with the Sisters. It is with great pleasure and delight I AM RETURNED once more! Here we all are in these days of the End and the New beginnings. It is indeed a most propitious time to be on the Earth and taking advantage of all that that brings. For now, it is a great time of secrets that have dwelled long in the hearts and minds of mankind to be revealed. To both himself and the world. This is already happening and happens at many levels. All that is hidden is to be made known; to be exposed that all might know what hides in the depths beneath. And this applies equally to the individual as it does governments, corporations, the military and more besides. All are to encounter themselves finally, whether they like what they see or not. This is what drives the revelations of the End Times, as many of you ones have come to call it. And so let it be known that no more lies and deceptions of your world and your very selves are to be tolerated. There can be no growth without this occurrence. And all your millennia spent endlessly incarnating here will have been for nought. This is to be a profound experience for you all and one which you cannot do without for further progress of your soul. Together we will be helping and supporting you along each inch of this road. And when you reach it’s end you will, if you allow yourself, be profoundly changed from the experience. This will further your soul goals immensely. Following on from a discussion we had with Shellee-Kim recently, it is also to be known that many of you are to be subject to great confusion through all this. Again, WE will be offering our assistance here for your greater clarity and inner peace. This is not a road exclusively open to some and not others. It is one that is for all of humanity at this time. And those already at the end of this road or walking upon a new one are to lend a hand to those behind them; those that may have become stuck amongst boulders or other items obstructing their walkway.For all those that are willing and able to reach the end of the road that they may choose anew at the crossroads, great rewards of choice await. Which can ultimately lead to a massive acceleration in your spiritual evolution in the longer term. This is how crucially important choices are during this period. We will leave this with you now to mull over. And to hopefully RE-MEMBER when the time is upon you. With my great love and gratitude to you all for the work you are doing within. Its importance cannot be underestimated. CM: Ready to take up the cudgels? Firstly: to all my devoted Ones. You are the reason for our flurry of preparation we are now in. If you could see the activity now underway in honour of you all, you would be as excited as we are. But that is just an aside. What I would like to inform you all of is the series of events to unfold dramatically now in your Reality. For some, as you've already heard - this will be awesome, breathtaking and beyond belief in the most positive sense of these words. For others: the experience won't be nearly as good or pleasing. But these are the choices that have been made and are just now to begin manifesting. My beloved children: You ARE to know the glories of multidimensionality on your plane and within your minds and hearts. This phase of the unfolding revelations has long been awaited and prepared for you all who are joining forces with my Legions of the Light. There are some points you would do well to remember that I'd like to impress upon you this day. Do make sure you include as part of your daily practices, some form of protection that acts as a personal shield when you go out (into the ‘battlefield' of the world). It is and will continue to be important to keep yourself ‘clean' that the Light of your very being may continue to flow unhindered through you. There is to be no more nonsensical leverage given to the Dark ones - their time is up! Their core group still hasn't yet accepted this, but this is their personal struggle and has no place in your future journey. When all is said and done, they have been given ample opportunity to rethink their own strategies. And have refused to do so over and over again. But more importantly, the chaotic Grand Finale will push final choices upon people-and especially those who have refused to choose, up until this point. Indeed it is to be a most grand turning point. One which has been devised as the most accessible means to both recognizing the Games played on earth for all this time and to begin re-connecting with the God within in more authentic fashion. And we see much being achieved in a very concentrated period of your time. Glory be to the One Father that has and is making all this possible. It is and has been a truly stupendous bit of planning. Particularly given the constant changes within the larger plan. Now we are to know no more delays. Let the Light and mine Shining Warriors stand forth as mine channels of my Light. And know that nothing further is to be tolerated. We ARE now to override all time-delaying tactics and everything else that has produced delays. The Mother (Earth) is to wait no more. IT IS TIME! 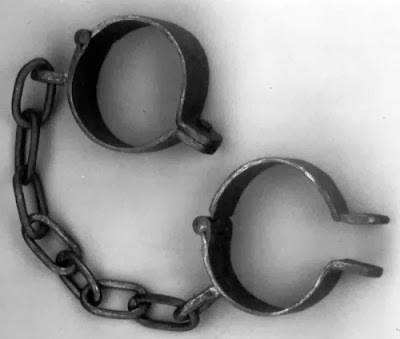 While we're on the subject of prevalent memes such as racism and the forces pulling the strings behind them, we can't ignore the concept of slavery. Racism and slavery fit together like a hand to a glove. Yet, it's not the perceived victim alone that is a slave, but as much the perceived perpetrator. In fact, those who believe they are the free-est (due to having been born/living in a particular country) are often the most enslaved. And in the contect of having a Birth Certificate...we are ALL documented slaves already! It’s one of those things that most of us never think about. We just accept it unconditionally, without ever questioning. It sounds “official,” so we leave it to the officials. That’s their business, not ours, and American Idol is starting, anyway. We’d rather not bother our pretty little minds with it (emphasis on “little”). But why does a birth need to be documented? God knows you were born – after all, it was he who put you here! Why does the State need to know this? Maybe, just maybe, it’s because they think they are God. Yes – it is for that reason. To be “in the System” is to be a subject of it as well. It comes with certain privileges, but also carries with it its own liabilities. It’s those liabilities they never tell you about, meanwhile they broadcast all of the so-called “privileges” 24/7. In fact, it goes much farther than that: you are never informed that there is any alternative at all to being in the System. You’ve never been informed that you have the choice to opt out. No matter – remaining silent in a business contract is synonymous with granting consent, according to Black’s Law Dictionary, and since the System operates under Uniform Commercial Code (commercial law), remaining silent = tacit consent. It doesn’t matter that little baby can’t understand abstract thought or even speak yet, we’ll take his silence on the matter as authorized consent to the terms of the contract being offered by the State through means of the Birth Certificate. The signature of the parents only serves to further sanction the deal. So, now that the Birth Certificate is signed and the deal complete, little baby can now be officially entered into the System. When that Birth Certificate is signed and the contract made, that baby becomes a Ward of the State. Indefinitely. Even if you’re 60 years old and the president of your own company, in the eyes of the State, you are an infant, and they are legally entitled to make all judgements concerning your person and property, because as a Ward, your person and property belongs to them. Like it or not, this is the truth of how the System operates. Your development is arrested at the point of infancy, and you never get to grow up and inherit the freedoms and responsibilities of a Sovereign adult human being. Not unless you wake up and reclaim those God-given rights. It’s about Free Will, and that was granted to you by God. The Birth Certificate signifies you as a non-living, fictional entity, and shows this by spelling your name in ALL-CAPS. Corporation names are spelled this way. So are the names of dead people on gravestones. So too the names that appear on driver’s licenses, auto registration and title, land titles, marriage licenses, tax forms, and also on all court documents. A living, breathing human being signs their name with capital and lowercase letters. The State sees you as a fictional non-entity – the Ward of the State. They see you as an infant, and you better believe they treat you as such. It is said to have started when the U.S. Government defaulted in 1933. Out of options and with no collateral to secure a loan with, the Federal Reserve saw its chance and pounced. They suggested a plan so sinister that only a banker’s mind could have devised it. They suggested that the future citizens of the country (and the earnings derived from their labors) could be pledged by the government as collateral for the loan. And the means of securing that pledge was to be the Birth Certificate. A Birth Certificate is a financial instrument known as a security. Because it is an instrument of value, it gets passed onto the Treasury and eventually winds up being traded on the stock market. It’s really no different than a Stock Certificate, Gold Certificate, or Silver Certificate. They all represent items of value – property, in other words. It’s an “account” opened with a Birth Certificate, and closed with a Death Certificate – a property that has been liquidated. So, you and I, we are property, owned by the Federal Reserve. How does that sit with you? For me, I can honestly say it sits about as well as a truck driver with a raging case of hemorrhoids. But there is some light at the end of this dark, depressing tunnel. Yes, right now you may be a slave, but a slave you needn’t remain if you don’t choose to. Like I said before, it’s true that there are certain privileges that go along with being a Ward of the State. If that works for you, then change nothing. For those it doesn’t work for, read on. I’ve understood for quite awhile that the forces that shape our physical reality are spiritual forces. God is real, and what he ordains will come to pass. Given that, if God grants you Free Will, then what power in the Universe could ever prevent or usurp that? The honest answer is – NONE! And that is how you exercise your Sovereign Free Will – exactly with that kind of authority. Sovereignty is not granted by anyone on this earth because it can only be given by God, and what is given by God cannot be taken away. It must be claimed on earth, claimed with conviction! They will try to trick, confuse, and deceive you into giving your Sovereignty away, but they cannot ever legally take it away. They must have your permission. You chafe at being told that you must wear a helmet when you ride your motorcycle, even though you are the only one at risk for riding without one. You bristle at the thought that the State, if they claimed any reason deemed acceptable by them, could come and take away one or more of your children into custody. It vexes you that every time you go to court to contest a ticket, you end up paying it anyway. It bothers you that you not only have to register your guns, but now they are bending over backwards trying to take them all away. You resent having to apply for a license to drive, when the constitution guarantees you the right to travel. You dislike having to apply for a license to be married, when God is more than happy to witness and authorize that marriage and give it all his blessings. You cringe when you realize that upwards of 25% of your yearly earnings now go to income tax, a tax that didn’t even exist until 1913, then reinforced in 1942, sold to help with the War effort and promised to include a sunset clause, which of course was summarily ignored later. You’re sick and tired of being treated like a child that can’t choose anything for himself, but instead must be told what to do in every circumstance. If any of those things resonate with you than you just might be a candidate for becoming Sovereign. Amen, Trent. It’s called STANDING, as opposed to KNEELING, which is what most of us do before Judges. Well, at least for me, no more of that bullcrap! I truly believe that it was designed this way for a purpose. As grim as the current situation might look for the wakeful among us, I have faith in the fact that it all is designed perfectly according to God’s Will. Yes, he granted us all Free Will, but in our world it has become hidden from us, hidden so that we first need to wake up, realize what’s going on, then decide what we will do next. If we want Free Will, we have to exercise Free Will. In truth, it’s beautifully constructed. I believe that God designed our world precisely like this because he wants us to wake up, to reclaim the promise of his gift to us, to reclaim our birthright from the enemies that have concealed it from us. There’s a wondrous victory in that, and I cannot imagine anything more honorable than STANDING before our accusers and reclaiming our God-given Sovereignty. Remain kneeling, or stand. It’s your choice.